Got my 110e .270 win finally tuned. Built right befor hunting season and was only able to work up a load. Since then I upgraded my reloading equipment to be able to measure and start loading off the lands. I had alway just loaded to spec. Also added a in pound toque driver to my set of tools. With front action screw set to 45 in pounds I started the rear at 20 in pounds. Shot groups increasing by 5 in h pounds. Shots Taken at 50 yards. 35 in pounds seemed to be the ticket. Shot .352 moa, covered by a dime 4 finall shots. 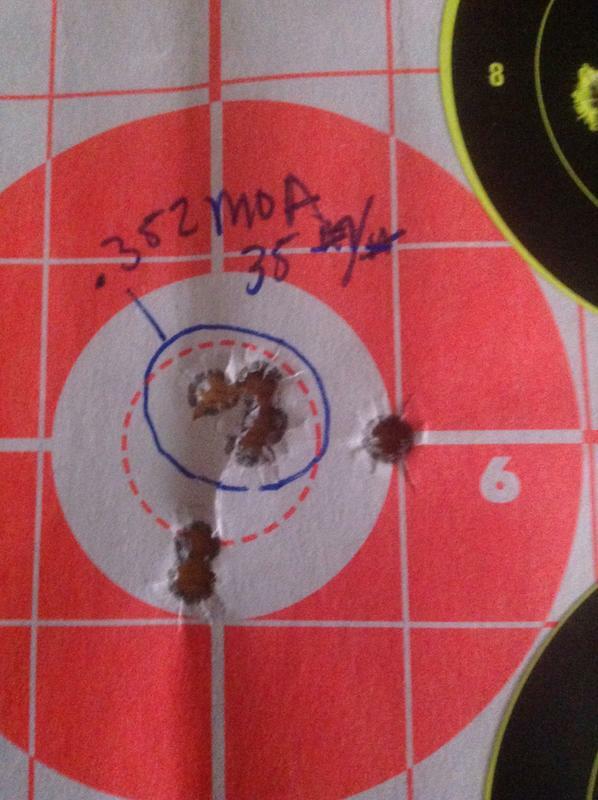 i was only able to shoot 50 yards, do I need to verify at longer distance? I look forward to stretching it out some. Looks like you got it dialed in pretty good. 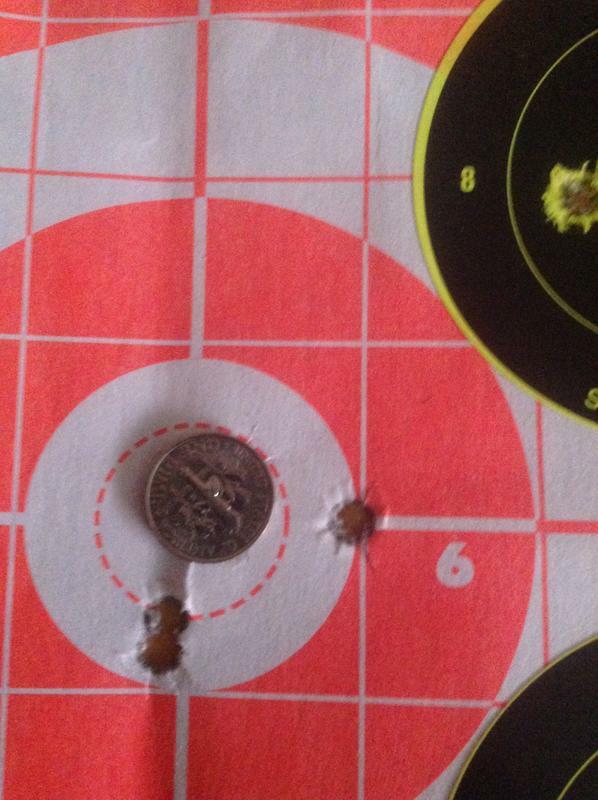 My 2 cents, yeah shoot at least at 100 yards if you can. I shoot as far as I can when I am trying to determine how my rifle is shooting. Right now, I only have about 125 yards to shoot. Maybe 200 or so if I ever do some clearing for a longer lane. Looks good to me, 35 inch pounds is not a lot for an action screw therefore I would check it often until your confident it will stay put. What i do know is this riffle can shoot better then me. Now I need some more range time. If you find the action screws loosen over time a VERY small dab of low strength locktite works great. Just enough to give some friction to the screw, so it won't back out. thanks mudpig, after getting to shoot out farther and verify that these toque specs are to my liking I will go back and add a little thread locker. thanks Phil, looking to improve always. Good deal with the action screw tuning. I too have found it to be an effective tool to shrink groups. With a wooden stock 35in/lbs on front screw and 25 to 30 seems to be the ticket on the rear. Mine shoots best at 35 and 30.. 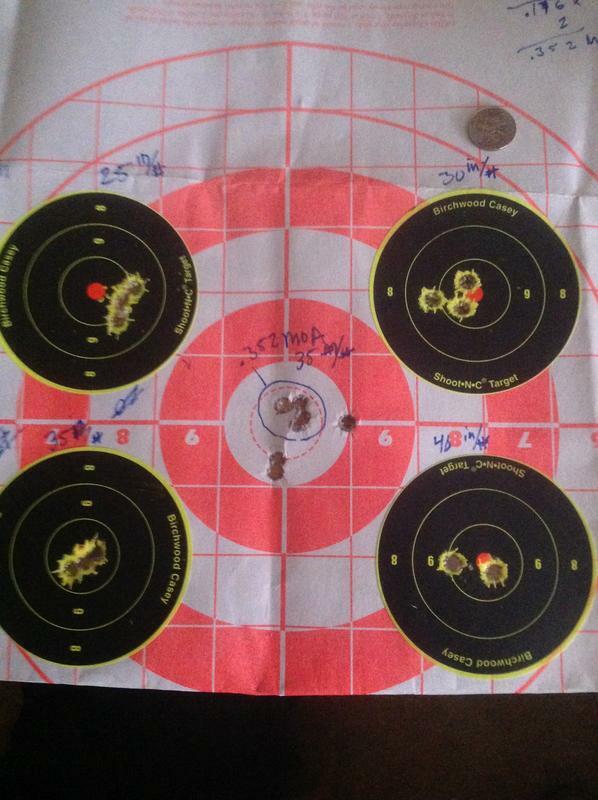 I was real surprised at how visible the groups changes were, even at 50 yards. like bunky-shooter says "With a wooden stock 35in/lbs on front screw and 25 to 30 seems to be the ticket on the rear. 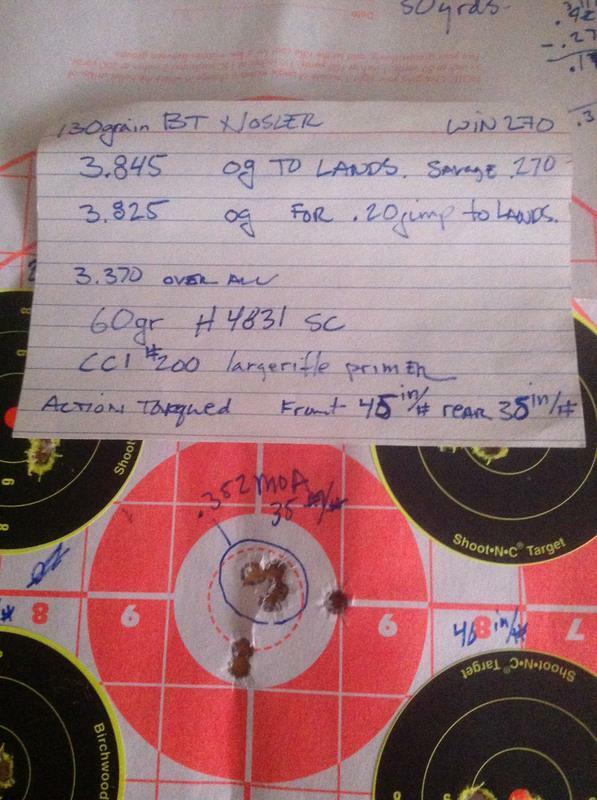 Mine shoots best at 35 and 30.." , but you need to tune to your stock. Try this out on your savage action you might be surprised unless you are a long time savage shooter, you know this already. Screw size got accurate mag setup?